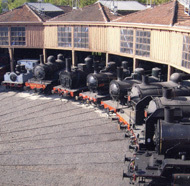 Our collection, including 14 steam locomotives and nearly 100 other items of rolling stock, tells the French railways story from the early 19th century to 1950′s. 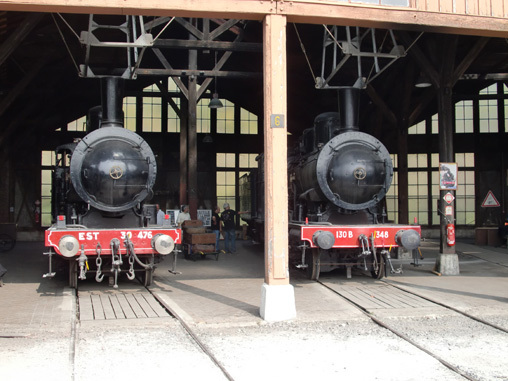 Our museum is housed in a beautifully restored wooden shed, who received their first steam locomotives in 1911. 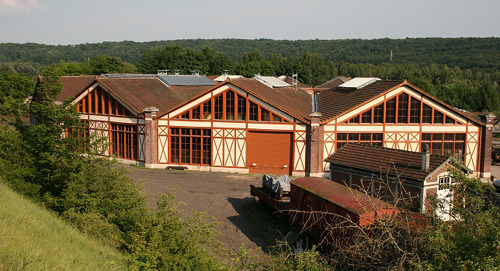 This shed was built by the former « Compagnie de l’ Est » (French Eastern Railways). 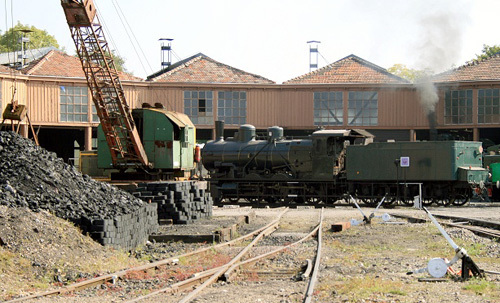 Last steam locomotive left Longueville shed in 1966. 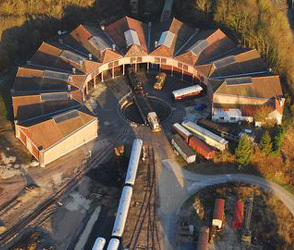 Rear of the roundhouse, recently restored. 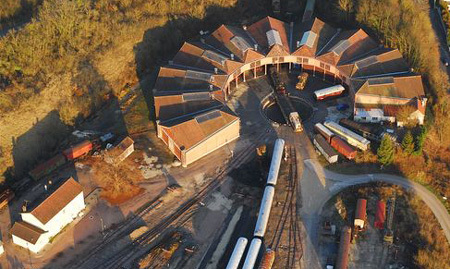 The turntable with a steam engine 2-6-0 « 130 B » (French Eastern Railways) and an aerial view of the roundhouse in 1972. 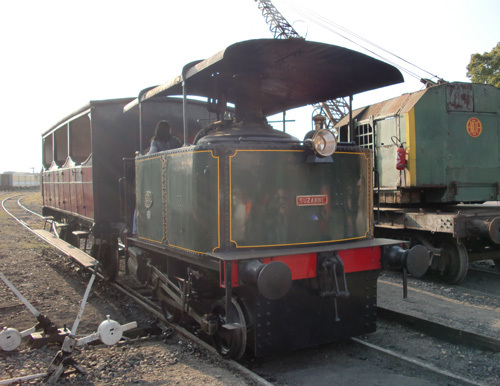 The oldest steam locomotive in the museum is a « 0-8-0″ owned by the former « Compagnie du Nord » (French Northen Railways). 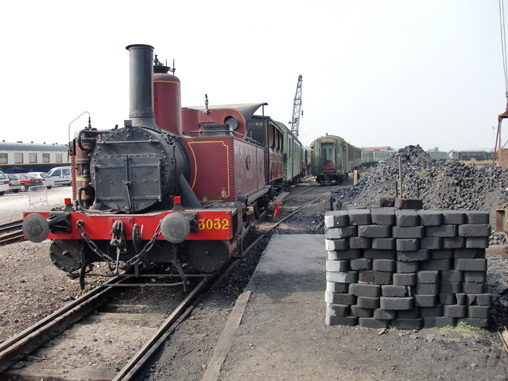 She was built in 1866, and sold to a sugar refinery in 1930′s, who she worked as an industrial locomotive until 1960′s. 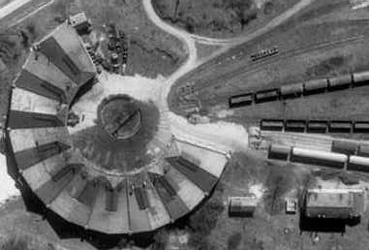 Inside the roundhouse, you can feel the unique atmosphere of a place where nothing changed for a century. One of our volunteer guides will welcome you and propose a self-led visite or a guided tour. A guided tour take approximately one hour and a half. 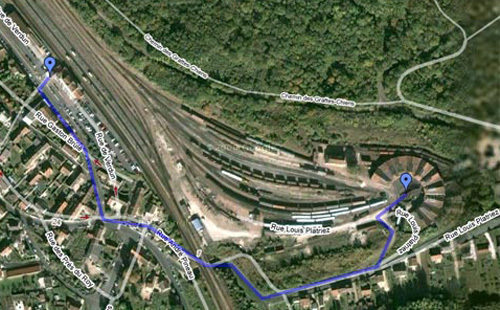 You will discover the history of the shed, the story of locomotives and the life of the men who drove them. 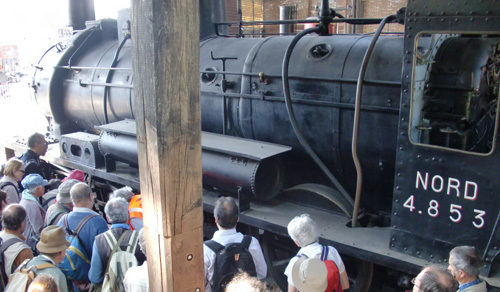 Our volunteer guides are often themselves drivers or firemen, and can thus testify of their passion for the world of steam trains. 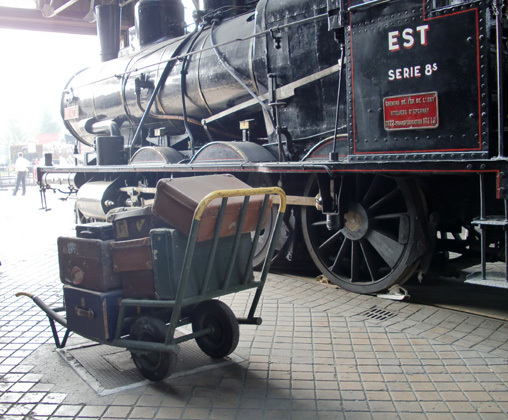 After the visit, a stop to the shop will allow you to acquire books or railroad objects to support the action of the society. During summer, from June till September, the locomotive « Suzanne » (see the video) is in order first Sunday of every month. The visitors can see the show of its runs, and feel characteristic flavors of the steam. 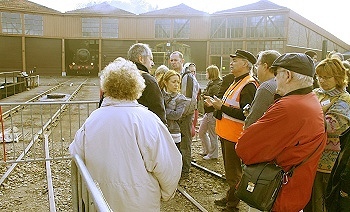 The locomotive « Suzanne » can be asked in order outside these dates, in particular for visits of groups or for quite other particular opportunity. Contact us to obtain grouped visits prices with « Suzanne » in order.